This cuvée is made from older vines in their favourite sites. The wine displays a dense purple colour, with rich raspberry fruit; new barrels providing a bit more stuffing, and a very long finish. This is really singing. 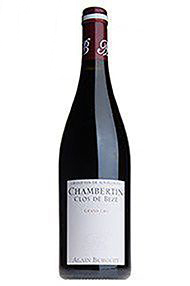 This year Jean-Luc and Eric Burguet purchased some additional vineyards from another member of the family: an additional 0.75ha each in the two village Gevrey cuvées. 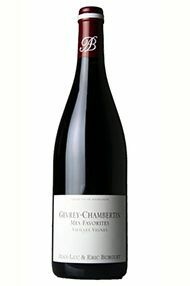 We may also get a small allocation of Gevrey-Chambertin, Champeaux, 1er Cru and a new wine, Gevrey-Chambertin, Lavaux St Jacques, 1er Cru. They found that 2014 produced decent yields, with picking beginning on 18th September. The scale of Eric’s distress is underlined by these numbers: normally he would make around 70 barrels of this; in 2016 he has 11. From vines over 40 years old and from an astonishing 23 different plots (including La Justice, Etelois, Créot etc), this has a lot of class and plenty of dimension. No new oak this year; Eric likes its more aromatic side to show. Drink 2019-2022. Eric and Jean-Luc save their oldest vineyards for Mes Favorites, another kaleidoscope of 30 parcels, with nothing younger than 70 years old. There are some serious vineyards too: Champerrier, Aux Corvées, Combe de Lavaux and so on. This takes 20 months in barrel but, again, none of it new. This is lovely, worth the heartache. 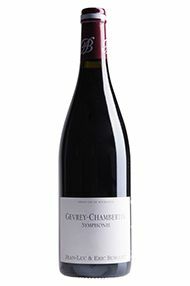 A bold, robust and classic Gevrey. Drink 2020-2025. 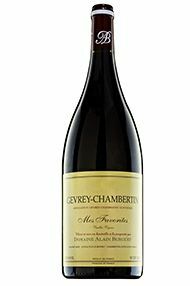 Barrel-chested Alain Burguet has been one of Gevrey’s most respected vignerons for a quarter of a century. 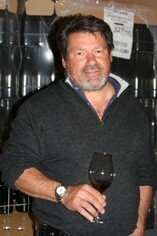 He left school in 1964 to work in the vines and made his first vintage under his own name in 1972. Alain’s muscular physique could be seen in the wines he made in the 1980s, where the tannins were occasionally too firm for the fruit. His style evolved towards a gentler, fruitier style which has been continued by his sons Jean-Luc and Eric since then. 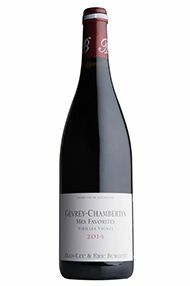 Their own vineyards are all located within Gevrey-Chambertin but the range has been supplemented by one or two cuvées from purchased fruit. Eric Burguet was phlegmatic but a little downcast on our visit. The frost was bad enough (taking out 30 percent), but he also lost another 40 percent to mildew. In the end they had to abandon their organic status, just to save anything from the crop. But it was too late for their Vosne-Romanée and Clos de Bèze, of which there is none. They are now under lutte raisonnée, and wonder whether they will ever return to organic. More positively, they do, like almost everyone else, have a decent volume in 2017. The mood of the tasting did not deflect from the quality that has been salvaged by their famously diligent triage processes. Glowing purple with an impressive density of fruit, though the detail is yet to emerge. Super-stylish, very graceful, yet the weight of fruit builds gloriously on the palate to a very noble finish with great persistence. It is all about the elegance. Superb. This is made with purchased grapes, from a long-term contract. This may be the best yet. Bright purple, this has good juicy notes, with a nice touch of crispness from this higher altitude vineyard. 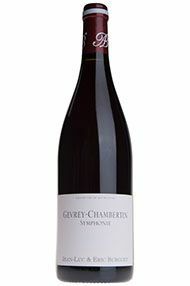 It kicks on very nicely, offering intensity rather than weight, with a very good acid-fruit-tannin balance, with lively red fruit and even some violets. Drink 2020-2029. Although yields were acceptable for the Burguet brothers, the crop was – in the end – 20 percent behind the previous vintage. They began on 15th September and entirely de-stemmed the bunches, following their usual practice. Their ultra-meticulous triple-sorting table system was not needed this year. Beautifully poised, juicy wines. This is made from the oldest vineyards, from 30 parcels with no vines younger than 70 years old. This will spend 20 months in oak, 55 percent new. The wine is also held on its lees for the whole period, adding a plusher texture. Its spicy, succulent aroma, supported by an understated ferric infrastructure, is as good as many Premiers Crus. Drink 2021-2026. It was very good to see a cellar full of 2017s and ’18s for the Burguet brothers, Eric and Jean-Luc, after the double tribulations of frost and mildew last year. Eric suggests that 2017 is not a year of complexity, but one of simple pleasure. The harvest began on 10th September (five days after Armand Rousseau, Eric noted) and the yields were generous, although their triple sorting of bunches, berries and whole berries did reduce the volume. All the wines will be bottled directly from barrel, without fining or filtration. From vines over 40 years old and from 23 different plots, this wine will spend 18 months in oak, 30 percent of it new (after no new oak last year). As Eric predicted, the wine is very pleasing and there is a gentle creaminess about the palate. Very pleasurable. Drink 2020-2024.